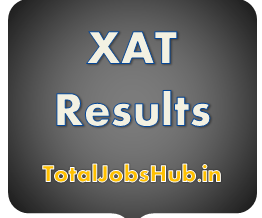 Management Students can check the status of XAT Result 2019 here. Xavier Aptitude Test was successfully held on 06-01-2019, whose final result is to be announced officially in the Last week of Jan. Students, who participated in the National Level exam, are advised to read the details and mark the important events as per required for the admission for the upcoming session. Xavier Institute of Management and Technology, Jamshedpur is the main authority to hold the written examination for management students XLRI conducts Xavier Aptitude Test on behalf of XAMI. Through the Entrance Exam, the aspired students will be handed an opportunity to get admission in different management programmes. The entrance test was taken at nationwide locations at differently associated institutes. Thousands of students had applied and are now awaiting the marks. Latest News: XAT Scorecard OMR Sheet Updated 31st Jan 2019. Please take the advantage of the bottom present link and obtain the Xavier Aptitude Test Scorecard from there only. As per the latest hearing from the authority, all the participants will be able to get to know their XAT Cut Off 2019 on 31st Jan. It is most likely to have the final status by 10th Feb. Applicants, who have targeted to save a seat for their admission in the selected programme, are suggested taking a look at the details that are furnished here. Find more important updates relatable to XAT Results 2019 as you read down the page. It is always a tough competition among the best of the bests; hence, students can expect a high cut off as compared to the previous year. Way to see the XAT Score card 2019 is simple. All the applicants and contestants shall be able to view their status in the XAT Merit List through the official website. Moreover, candidates will be notified via an email about the result declaration as soon as they get published. Students are, therefore, advised to stay in touch with the internet media and bookmark this web page for further associative updates. The written test was held in 47+ different cities of India including the overseas location in Dubai and Kathmandu. There are over 100 Business schools that will accept students on the basis of this test, apart from the ones that are already associated with the Institute. For a further, know about and to help students get the idea for this year’s cut off, the previous year’s cut off is being given here. Note: Students, this is just an expected cut off. Kindly wait for the final one before deriving any conclusions. Navigate to the Results section from the homepage. On the candidate’s login page, enter your Registration number and Password. Hit submit and get your scorecard; take a printed copy of it, which is also necessary to have. Before the Declaration of Score card of Xavier Aptitude Test Department is going to release the Official Answer key of the Online Test. Students who attend the test can obtain the XAT exam results by logging onto the XLRI website & using their registration number, date of birth and a security text. Candidates can get the XAT Scorecard 2019 by using which you can apply to XLRI and other Xavier Aptitude Test affiliated colleges. As per the detail XAT 2019 score card is all set to be issued online by 10th February through the main web portal. Candidates can also get the score card via email which they provide through the registration time. The score card is going to be available under the section of candidate’s login when you visit the main web portal.